What We Do - Kersey/Wike Associates, Inc.
KWA serves its clients through scalable, targeted resourcing designed to meet specific project requirements. In many cases, we manage the entire job in-house. For larger projects, we join with or bring together a team of proven professional architects, engineers and other resources who we know and trust to get the job done. 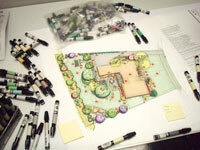 At KWA, we bring the big picture into focus by concentrating on the details. "When we built our house Joel was a tremendous help in not only landscape material design but also in our outdoor pool area along with the hardscape. It was a pretty big job and Joel and Kersey/Wike came through with a great plan."